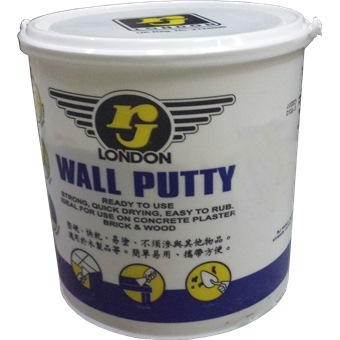 RJ WALL PUTTY 5KG is rated 4.0 out of 5 by 3.
RJ WALL PUTTY is a high quality Acrylic Copolymer Emulsion Putty suitable for interior and exterior uses. 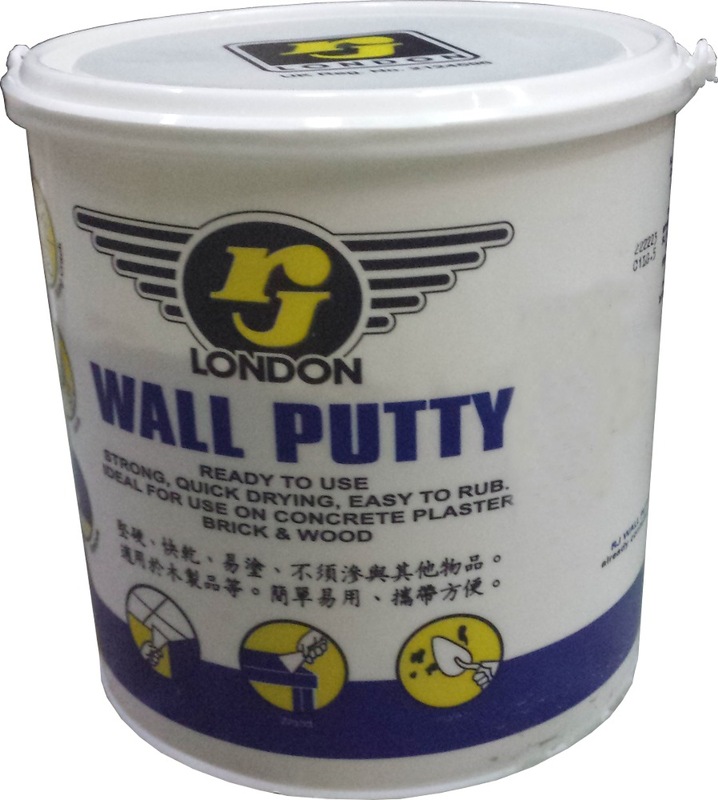 RJ WALL PUTTY is recommended to use for new and old surfaces, suitable for filing crack, joints, leveling up uneven tough surfaces such as on concrete, cement wall, ceiling, asbestps bpards, brick structures, kapok boards, wooden furniture and doors. Rated 4 out of 5 by Fix your own from Waterproof, do not need to paint. Great product. White paint mixed in so painting is not required. Waterproof after the putty dried. Used it to patch my wall (outdoor), so far so good. Nevertheless, it is not as hard as cement, feel just like normal plaster. Rated 4 out of 5 by all_repaur from Big Pail, more for the pro Putty to fill up your holes or cracks on the wall. BUT this is a huge pail. If you are not a pro that uses this daily, get a much smaller size. Rated 4 out of 5 by kc gan from Standard purchase The RJ wall putty is a standard purchase for sealing holes and patches in surfaces. The pail comes with a plastic putty card inside the container. Removing the plastic wrap makes the putty dry faster, lift up half of it when using and cover it again when stored.